Please join us for the Pratt Museum membership meeting. Refreshments will be provided starting at 5:30 pm. Museum members, please look for your ballots for the Board of Directors in the mail, and return to the Pratt Museum by February 7. In Iceland, women have worked at sea for centuries, sometimes alongside men and also lone. They have commanded boats, and been lauded for their abilities. But today in Iceland, this history is all but erased; even women working at sea today are almost invisible. Why? Margaret Willson explores the vivid history and present of these women, and the fascinating society from which they hail. Their experiences bring up questions about how we all create history and even our reality. 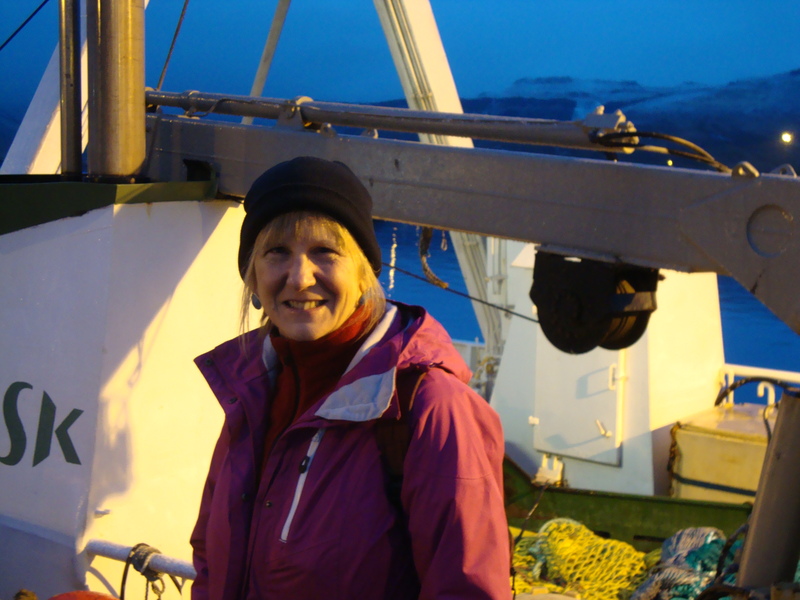 Anthropologist Margaret Willson, who worked at sea herself when she was younger, has been conducting research with seawomen in Iceland for several years, resulting in her recent book Seawomen of Iceland: Survival on the Edge (University of Washington Press 2016). Previous to her current Iceland research, Margaret has done research in Papua New Guinea and Brazil, has taught in several countries, worked in ethnographic film, and was for sixteen years International Director of an NGO. She is currently Affiliate Associate Professor with the Department of Anthropology and the Canadian Studies Center’s Arctic Program at the University of Washington.